The project frontières fluides – fluid boundaries is concerned with boundaries consisting of water (between two cities, two countries, two geographies). They are not taken as lines of demarcation, but rather like unique places where lives are lived and economies and specific trajectories of thoughts are elaborated. 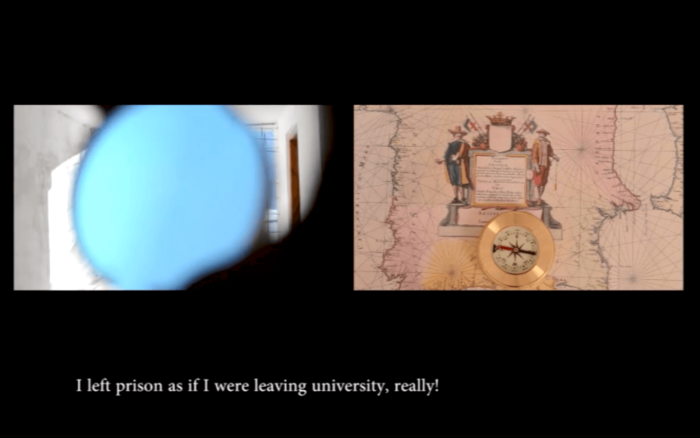 Also, frontières fluides – fluid boundaries does not speak of migration merely in Europe and the region of the Maghreb, but also considers the Mediterranean region as a cultural and geopolitical entity. But foremost, the project examines the identity of artists in the era of a more and more globalized art world. Making passages, overcoming or accepting borders has become an important part of everyday life for artists like Katrin Ströbel and Mohammed Laouli, but the project also describes the reality of thousands of migrants that crossed the seas in the last centuries: from Europe to America, from Africa to Europe, from Old Europe to the New World, from one life to another, back and forth. Thus, for this project Mohammed Laouli and Katrin Ströbel build temporary shelters on boats and go on navigable borders. With their “nomadic boats”, they go out to meet the people who inhabit these spaces and occupy the shores. From their interactions emerges an infinity of narratives that constitute the primary material of their work. With their installation, the artists thus, analyze in a renewed way the cultural, social and economic impacts of life in these common places. The first stage of the project frontières fluides – fluid boundaries was carried out as an artist residency at Le Cube – independent art room. 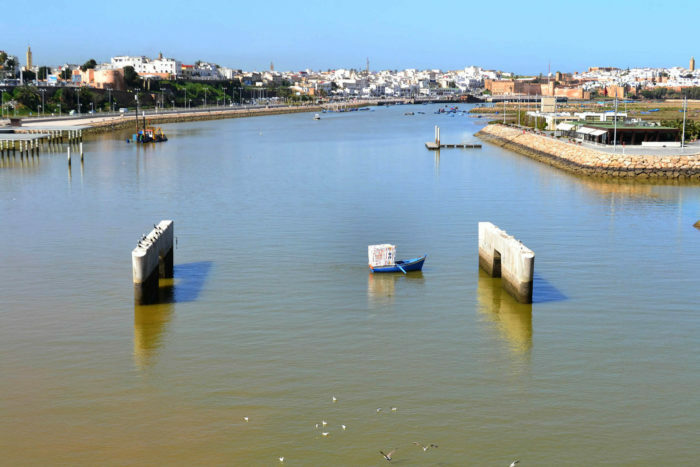 Its subject of inquiry was the Bouregreg river between the cities of Rabat and Salé. The project then got extended to include Playa Blanca, in the north of Tangier, Amsterdam, at the invitation of Le Cube, and on Lake Constance, the only space in Europe where borders between countries are not delimited. The current exhibition presents all the photographs, videos and calligraphy created by the artists for frontières fluides – fluid boundaries. 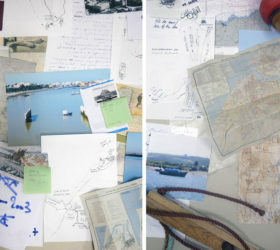 frontières fluides – fluid boundaries is a project that will keep being developed; other installations of the nomadic craft will get to places where movements, migration, transit and the use of the boats play an important role in daily life.